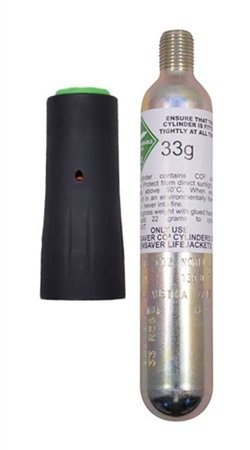 Rearming pack for Crewsaver Crewfit 165 Sport Lifejacket - 33g gas cylinder and capsule to suit. We always recommend that lifejackets at serviced every year by a registered service centre otherwise the chances of accidental firing are greatly increased. Clear informative website, prompt delivery, thanks and keep up the great service! Very good service, reasonably priced, very fast delivery to the western Isles.